Although this is predominantly a wind surfers beach, there is a great left and right break with swells reaching up to 3 metres. This is a very long beach and offers lots of wave riding away from the wind surfers. It can get really gusty if the SE picks up and is sometimes better to make your way to Big Bay.The wind blows just as strong here as in Cape Town. it has a relatively small break and often closes out due to the sand bank along the beach. There is no car guard or ablutions available. 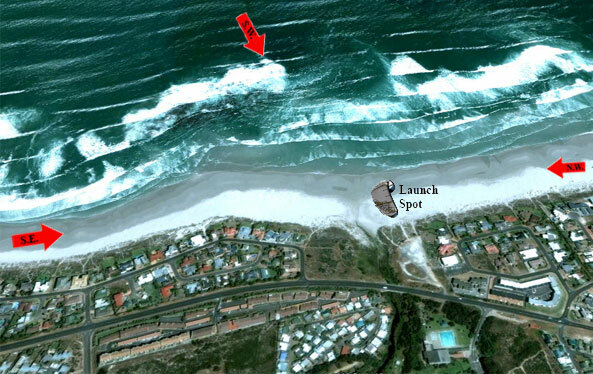 Watch out for the dry kelp and pebbles on the beach when launching your kite.